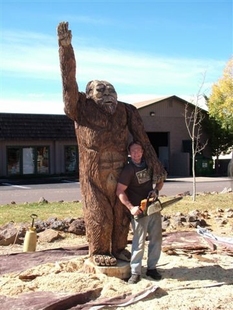 Chainsaw carving is an art form dating back to the 1950s combining modern technology with the natural world. 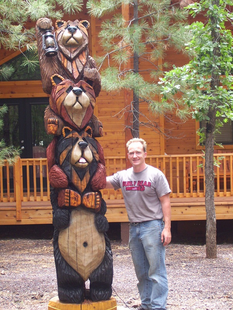 The Burly Bear works with an onsite chainsaw artist who can custom carve just about anything to match your home, cabin, or business. 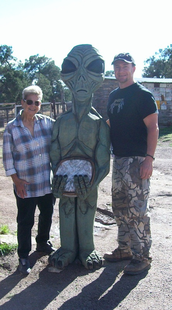 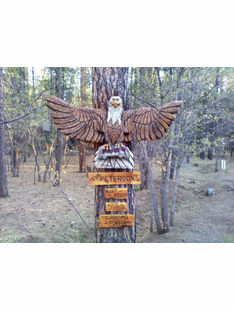 Our chainsaw wood carvings can be customized to a variety of different shapes and sizes at an affordable price. 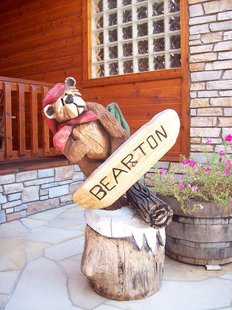 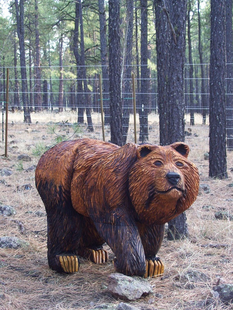 Whether you are looking for a bear carving to grab the attention of customers or decorating your front yard, big or small, we do it all! 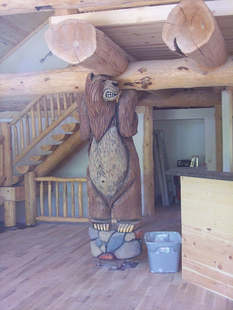 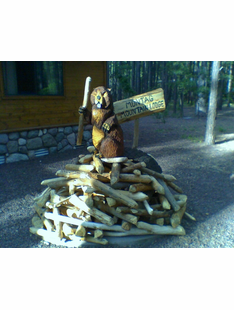 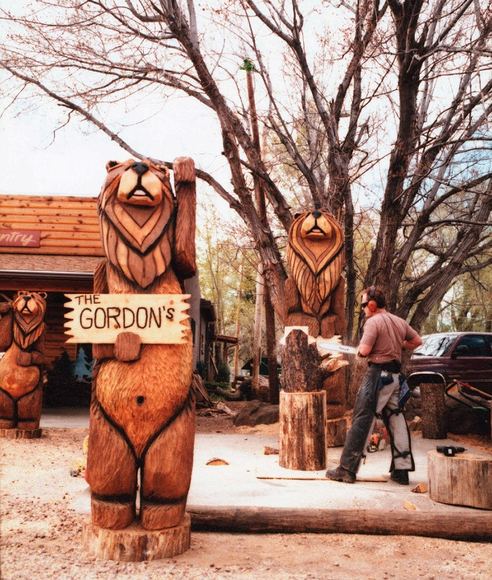 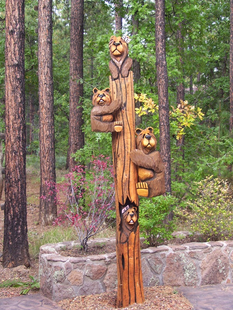 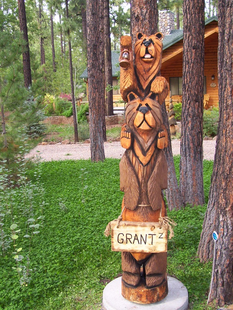 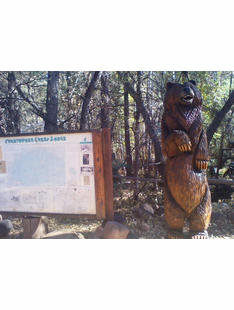 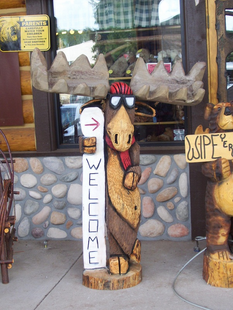 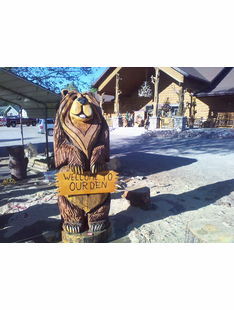 Our past work includes a waving Bigfoot carving, wooden bears holding �Welcome� signs, a 15 foot custom totem pole, and much more. 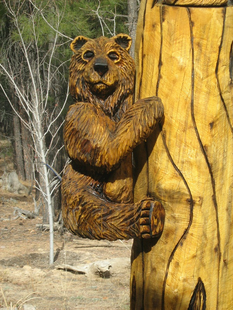 Get your paws on your own custom chainsaw carving! 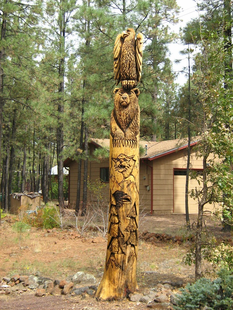 Our retail store is located in Arizona and we ship to anywhere in the world. 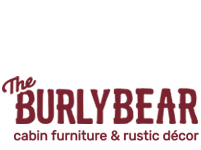 Call us directly at 928-367-2327 or email your custom inquiries to info@theburlybear.com. 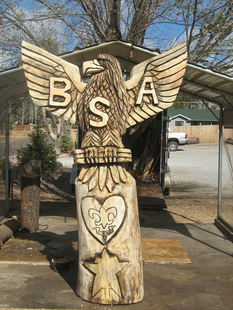 Custom pieces bigger than 5ft. 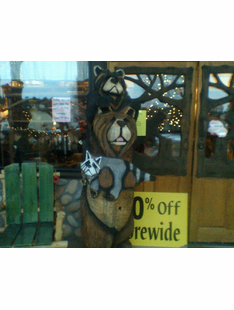 must go freight shipping.